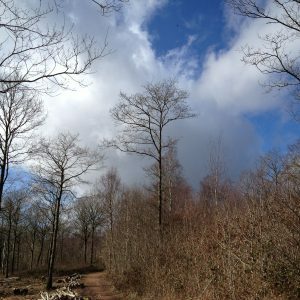 Queenswood Country Park and Bodenham Lake are currently managed by a partnership between Herefordshire Wildlife Trust & New Leaf. New Leaf's vision for the sites is that they will increasingly showcase both conservation & sustainability initiatives in practice. Sustainable art is art in harmony with the key principles of sustainability, which include ecology, social justice, non-violence and grassroots democracy. 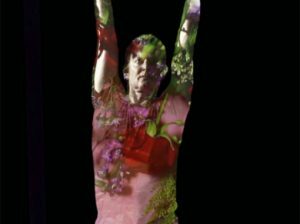 New Leaf artists are working with scientists and researchers in universities across the world, and believe that everyone has the capacity to be creative and to be changed by art. 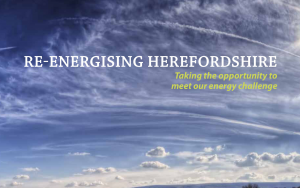 Launched in 2013 and adopted by leading organisations around the county, ReEnergising Herefordshire sets out a way of meeting the challenge of providing for the county’s energy needs in the 21st century. This sustainable approach to development takes in to account wider social, economic and cultural priorities. h.Energy is a sustainability festival initiated by New Leaf in 2010. Over the years h.Energy grew to become a week long celebration of sustainability in communities across the county. h.Energy continues to evolve and is always a close collaboration with businesses and organisations around Herefordshire, in particular the Herefordshire Green Network.